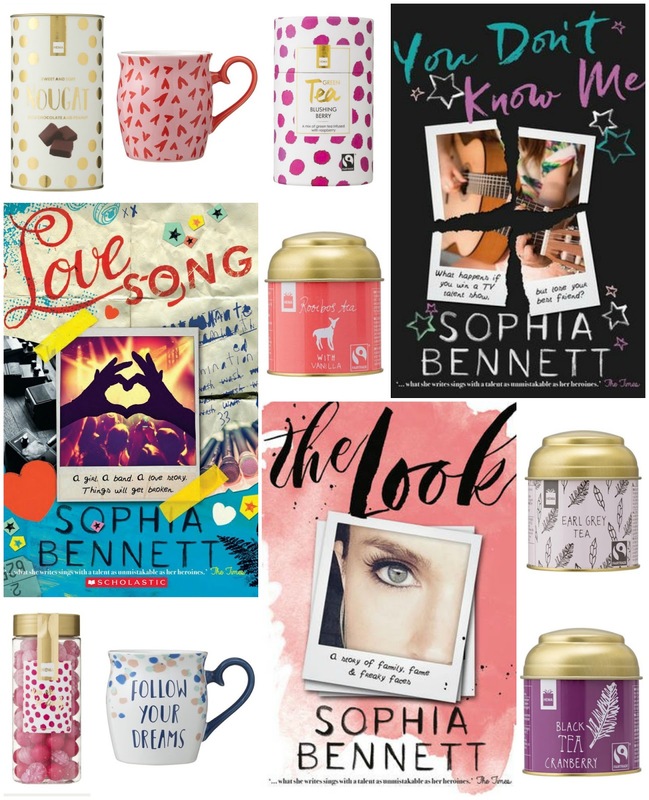 Enter this giveaway for a chance to win books by Sophia Bennett, tea, mugs, nougat and candy. Good luck! 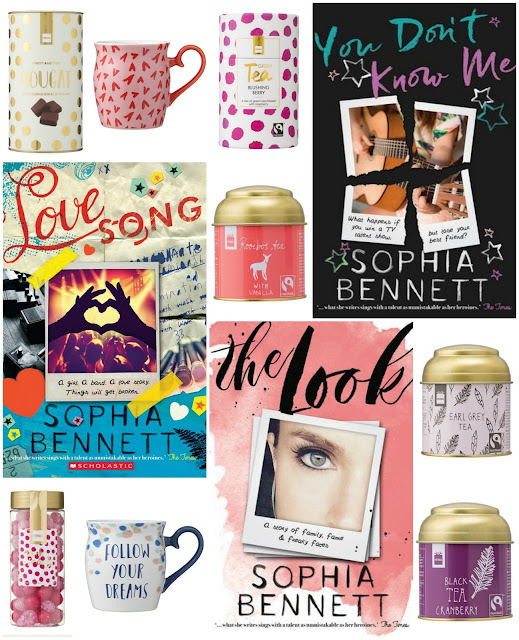 "Which bookish gift is high on your wish list and why?" Very witty, beautifully designed t-shirts that I could give to a relative! Bookmarks. I love how cute and quirky some of them are. My glasses are the only thing I need! Fox Book Sleeve with a Front Pocket. Have my eye on one on Etsy. Book sleeves for sure so my paperbacks are safe from getting bent on the covers! I'd really like to get a book stamp (with my name on it). Which bookish gift is high on your wish list and why -> a book themed necklace. I also love a pretty book themed mug. I would love one of those Jilly mugs! Bookish necklace or bracelet would be lovely. 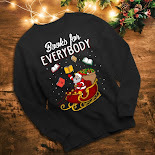 Maybe a cute book pun t shirt. Besides bookshelves, I am always looking for book-themed art, bookish necklaces, and watching for literary t-shirts. 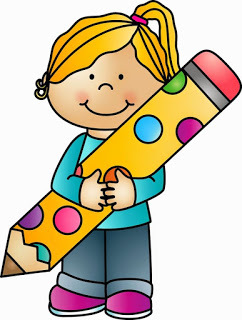 I love the art work from some books and some looks amazing on t-shirts or nice big bags that I can use for shopping, library, etc. Ooh they all look so lovely. I do hope I'm lucky. Thanks for the opportunity. 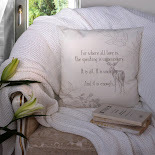 Bookish cushions for my reading couch. I love A Novel Journal: Pride and Prejudice or any other title for that matter, but this is my favourite title. I love that you can share your own thoughts alongside those of the greats, such as Jane Austen. Tote bags, mugs, book themed bracelets or necklaces, shirts. Would love some book sleeves i dont have any of those! I like mugs, tank tops, key chans - basicaly thing that I can use. good luck :) amazing giveaway! One can never have too many bookmarks. I love totebags for carrying my books. You can never have too many. Mine is a book shelf because we have a lot of books. 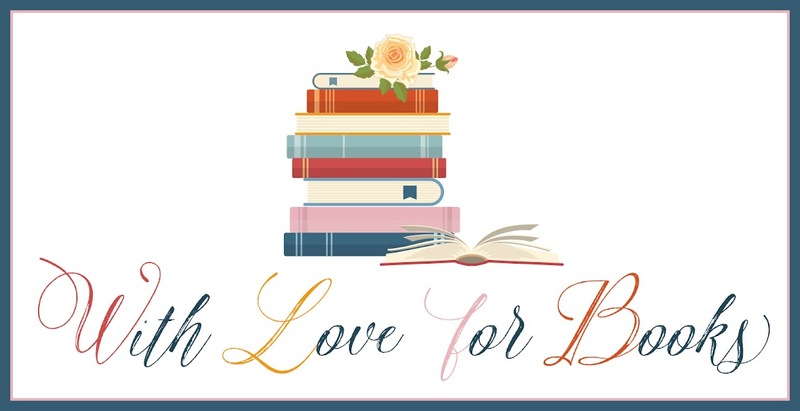 I definitely need a new pair of glasses, but as for fun I would love some bookish t-shirts! I really need a kindle sleeve for my paperwhite kindle and a new bookcase. I have books piled on the floor right now. Scented candles related to respective books. Love them! !